Overview: Our XRD and XRF facilities include a preparation laboratory and an instrument laboratory. Analysis is available on a Bruker D8 XRD, a Philips XRD and a portable XRF. The department has a Bruker XRD and a Philips XRD providing powder diffraction analysis. There is an International Centre for Diffraction Data (ICDD) database for indexing patterns using specialised software package EVA® which identifies what components are present as well as access to the Topas® software which is a modelling programme to identify what quantities are present. External users can access this software for data processing. 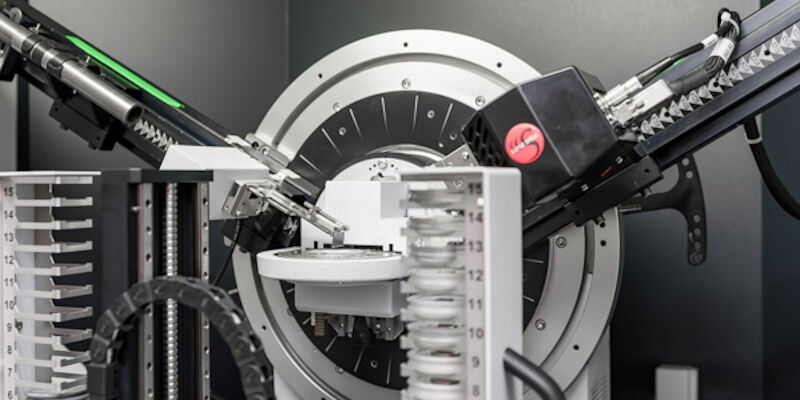 The Bruker D8 is equipped with a LynxEye detector and a 90 position auto sampler. These provide advantages in terms of intensity, peak-to-background ratio and accurate profile fitting. fast analysis times – e.g. 3 minutes. We are committed to sharing our facilities and associated expertise with external academic and industrial collaborators.